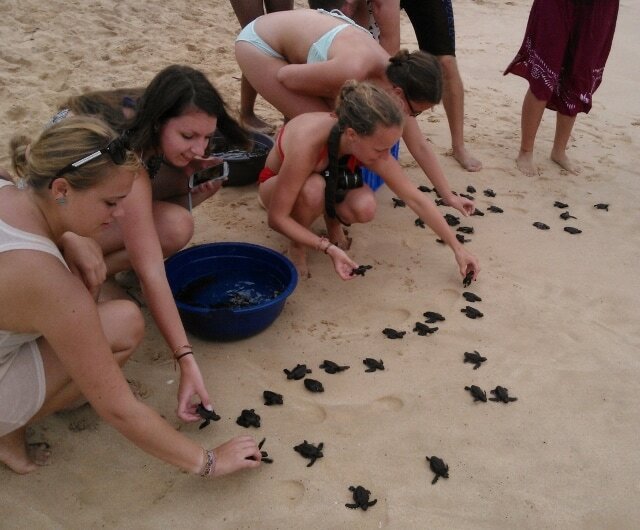 ​Turtle conservation is vitally important work, and at this certified project on the beautiful island of Sri Lanka you’ll play an important part in helping four different species of turtle survive. Our centre works with Loggerhead, Hawksbill, Green and Olive Ridley turtles, assisting nature through its rescue and rehab care program as well as its managed approach to reproduction. The rescue and rehabilitation centre works with injured or sick turtles which are often received after suffering traumas or illness. In many cases this is due to ingesting garbage in the ocean or suffering accidental or intentional injury at the hands of people. Many turtles can be rehabilitated and released back into the wild, though others will never survive alone so we look after these at the centre on a permanent basis. 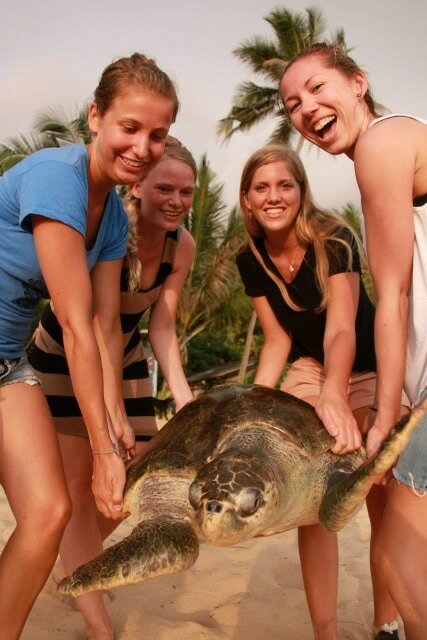 In a separate area we hatch hundreds of turtle eggs, ready for the next generation to be released to the ocean. Getting involved in this process is truly a thrilling experience. Our program begins in Kandy, with an exciting week of fun and activities in the cultural capital of Sri Lanka – the blend of culture and tradition complements perfectly with your beach time and role as a wildlife warrior.